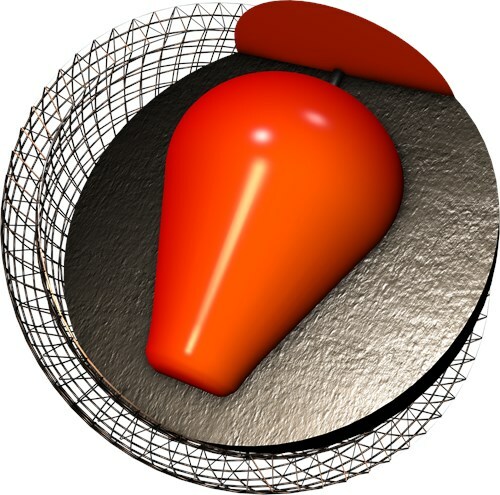 Similar Balls: Same Hook Potential, Lane Conditions & Coverstock as the Hammer Flawless. I absolutely love the colors of this ball. Not only just the colors but the ball itself is awesome! It has some great length to it with some crazy sharp back end at least for me. Definitely always will be a late game ball for me at every tournament. The sharpness for me really kicks out those ten pins. Very clean through the fronts and midlanes then controllable down lane! Very continuous through the pins! More than just a pretty ball! I was looking to fill a gap in my arsenal for medium/dry conditions and when the lanes start to burn up. I drilled this ball pin up over ring with CG stacked, and this ball is super clean through the front and mids, and drives hard through the pins. How this ball is flawless for me is how consistent this ball performs, not shooting through the breakpoint and keeping the pins low. Plus this ball is pretty to watch going down the lane! I love the new Flawless! I love the new Flawless. Think of it as a stronger Vibe. Very clean cover but a little more pop on the back than a Vibe. It's a great ball for Medium to lighter volumes of oil. This is my favorite pink ball since the original Ink Hammer. The Flawless has a very predictive ball motion. I find it very smooth through the heads and midlane, with lots of continuation in the back end. The Flawless to me when I opened it was blah. It looks like a pretty ball and to me that isn't tough which is what the Hammer brand is known for. After watching a few videos and reading up on it, I decided to put the pin under the ring because its symmetrical and shiny which for me usually means I see some skid. That is something I did not need in the bag right now because I like to see the ball controlled and more rolly than anything - Predictable. Here is my take on the new Hammer Flawless. The new Flawless features an inverted symmetrical light bulb core wrapped around the Juiced Pearl coverstock found also on the Rebel Yell. Like all Hammers, the Flawless features a 3 year warranty in its Carbon Fiber manufacturing process. The ball comes with a 1000 Abralon polished surface. The color is a vibrant Pink/White/Blue which will catch eyes around the center. My "vitals" are a 405 rev rate with a PAP of 5 9/16 over and 1/8 up. I drilled a Flawless with a 50x5x40 layout which is the same layout used in my 1st Onyx Vibe. Where the numbers are comparable to a Onyx Vibe, I wanted a point of comparison. I am drilling my equipment currently without weight holes in conformity with the new rules that went into effect on August 1, 2018. I have used this ball at factory finish, 2000 Abralon surfaces. I have tried the new Flawless on THS, modified USBC White and Kegel Beaten Path. Based on the comparison of the Onyx Vibe I found the Flawless to get through the fronts a little easier than the Onyx Vibe with a little more recovery/continuation. As an example, I bowled an event on Kegel Beaten path which is lighter volume 41 foot challenge pattern. I started with the Onyx Vibe and found little hold and poor corner carry as the ball seemed a little lazy off the spot. I stayed in about the same zone and switched to the Flawless and that opened up the lane with ease. I generated more hold as the ball was cleaner and the corner carry was improved. That is why I think on the medium to lighter volumes or on broken down patterns, the Flawless will be in play. Because of the versatility/shape of the core, many shapes can be drilled into the ball and should suit a number of styles. I can see this ball in play on a number of different pattern distances depending on ball speed. I believe that the Flawless will excel on medium to lighter volume patterns generally. See your local proshop for more information about the new Flawless! Is this good for two handers? Is this a strong pearl ? The Rhodman Pearl will be more aggressive. Is the 13LB a generic core. How will Flawless compare to my Web tour ?? 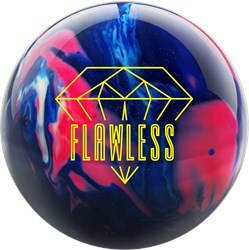 The Web Tour will be more aggressive than the Flawless for the Web Tour is an upper mid performance ball and the Flawless is a Mid performance ball. I have a Hammer Arson and I love it. the weight is 12.8lbs. I am looking to go a pound lighter for elbow problems. Will this ball be a good comparison to my Arson? The only thing that will be different will be the lane conditions. The Arson is for medium-heavy oil conditions and the Flawless is meant for medium oil conditions only. Is it pre drilled ? Unfortunately, we do not offer drilling for this ball and it will come undrilled. How does the Flawless compare to the Rebek Yell length-wise? There is not much of a difference but the core in the Rebel Yell is stronger. The finish on the Flawless is a little stronger, but the Hammer Rebel Yell will go just a tad longer. Due to the time it takes to produce the Hammer Flawless ball it will ship in immediately. We cannot ship this ball outside the United States.